In 2010 this correspondent attended his first Canada Day celebration at the 4 Pines in Manly. They’ve continued that tradition each year and in 2015 illiards and I toasted our Commonwealth colleagues on site. Poutine has become a staple on the 4 Pines Menu, but the flags, the (ice) hockey on the telly and the annual Canada Red beer were rolled out as usual. 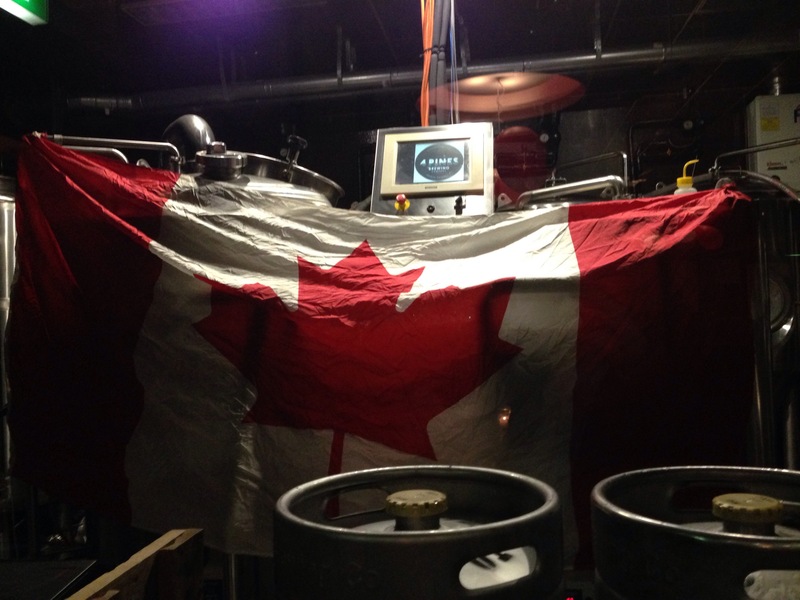 The 2015 Canada brew was entitled Canada Red Rage and was brewed with maple candied bacon. To be honest this beer was more mildly miffed and the bacon was very subtle. A decent red ale to be sure, with a deep hue – but not particularly big. Hopefully illiards can wave the BotF flag at the July 4 celebrations as this correspondent will be resuming his acquaintance with our former North East Asian correspondent on the Sunshine Coast.